Farmers Guardian - My Blog : Farmers Guardian - From the editor: Are agricultural shows a 'shop window' for animals? From the editor: Are agricultural shows a 'shop window' for animals? As show season starts up and down the country, Ben Briggs asks whether the role of the agricultural show has changed from being a place to showcase stock to simply a ’show window’ for animals. "The notion of agricultural shows as a ’shop window’ for animals is one that is as old as the shows and agricultural societies themselves. "It is a phrase that crops up time and again in this week’s Farmers Guardian in sections such as the Royal Highland Show preview as the show season hits its stride in thankfully brilliant weather. 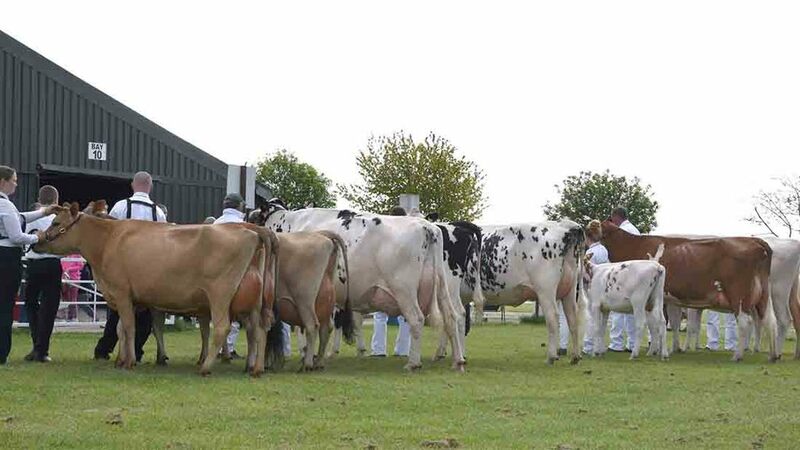 "But with shows traditionally being a place where farmers from the local area could get together to showcase their stock in a less connected era, does the rise of genomic profiling and EBVs threaten to redefine their role as a genetic showcase? "While there is no doubt a major show win, especially at the biggest events such as the Royal Highland, Royal Welsh or Great Yorkshire shows, can add value to top cattle or sheep, are their roles as indicators of breeding potential being challenged by the rise of data? And could that ever take over from a farmer’s visual judgement? Some argue not. "But while the nature of breeding technology is changing the game, especially for the commercial farmer, the role of shows as a communicator of farming’s values to the wider public will continue to be key. "For shows which attract a large non farming audience, especially those on the urban fringe, their role in educating consumers about where their food comes from and the effort which goes in to producing it is absolutely vital for the entire industry. "With the gap between people and their food widening, it is vital for farming to make that link between field and fork and enthuse the public about an industry they are sometimes ignorant about. "As the fantastic photos in this week’s show coverage testify, the power and presence of livestock on show at these events often has the ability to dazzle, whether you are from farming or not. That is an opportunity the industry should build on and ensure these events are a shop window not just to farmers, but to consumers as well."